The end of the year is pretty close now, and the greatest time for making purchases is closer still. 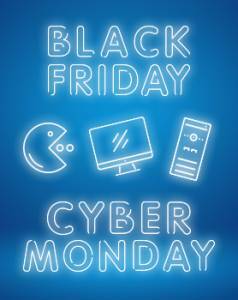 Black Friday and Cyber Monday, the two shopping holidays many people are sharpening their teeth for, are right around the corner. Let’s take a closer look at what this means, and why you should be excited. What should you know about Black Friday and Cyber Monday? Black Friday and Cyber Monday are two major shopping events taking place soon after Thanksgiving Day. The former is all about physical stores, while the latter is aiming at online stores. Are you interested? Check our G2A deals on Black Month for Xbox One and more! Although Black Friday has been a thing for decades, the name only caught on in the early noughties. One of the possible etymologies, proposed in the 1980s is that during that time store owners would actually turn profit, marked in black ink, rather than mark a loss in the ledgers, using a red ink. Thus Black (“Profit”) Friday came to be. Regardless of the name’s origins, the day after the U.S. Thanksgiving is great for shopping. So much so, that retailers are constantly trying to one-up each other with earlier opening hours (some opening as early as on midnight after Thanksgiving, others going so bold as to open the doors on Thanksgiving evening or night. The discount rates in these brick-and-mortar stores draw crowds of customers, and the competition between buyers is even more vicious than between stores themselves. Stocks are always limited, however. If you want to get that Xbox One you’ve always wanted, or some accessories like gamepad or more specialised controllers, your best bet is being among the first people in the queue at your chosen electronics retailer’s front door. After you’ve spent the weekend enjoying your Black Friday loot and sleeping off the last of the Thanksgiving food coma, Cyber Monday comes as a great way to keep the streak going even if you’re technically at work already. Although created as a marketing ploy in the mid-noughties meant to encourage more people to shop online, Cyber Monday does work, and there is a significant rise in sales on the first workday after Thanksgiving. The fact that the prices are often cut by a large factor doesn’t hurt either. What interesting can an (aspiring) Xbox One user find during Black Friday and Cyber Monday? Although falling behind PlayStation 4 in terms of blockbuster exclusives, Xbox One remains a solid gaming platform. Especially the Xbox One X variant is a powerful console with a definitive edge over Sony’s console, even in the PS Pro version. If you’re aiming to grab an Xbox One this year, you should definitely check with your local retailer during Black Friday, or, failing that, scour the Internet for great deals on Cyber Monday. There are good chances you’re going to find an offer within your budget. Having a console and a gamepad isn’t always enough for everyone, and if you’re going to invest a lot of time into using your Xbox, you will want some helpful accessories to make the experience better. There’s a wide variety of gamepads, many of them with themes based on e-sport teams, or your own custom design. There’s even an adaptive controller designed for gamers with limited mobility, letting them customize it to suit their needs. Joysticks and steering wheels are of course also available. You could get several types of a stand for your Xbox, as well as a very space-efficient wall mount. 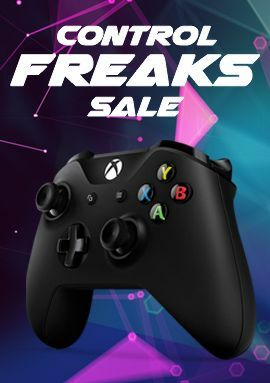 You could get one for your gamepad too. Charging stations and additional hard drives are on offer as well, so you may want to keep an eye out for them as well. Whether you pick them up personally on Black Friday or snipe a deal on Cyber Monday is in this case largely a matter of preference. Now that you have the console rigged the way you want it, it’s time to get some games. Thankfully you have a massive library of games to choose from, so all you need to do is decide which game genre is of interest to you and start your search from there. You could get physical versions along with your console gear, or decide to settle for a space-efficient digital download version, which won’t look great on the shelf, but definitely won’t be reduced to dust collector anytime soon. Be patient, we will post the games soon! Subscriptions have become a staple of modern entertainment. Digital distribution also made gift cards relevant again. Xbox has two types of subscriptions available to you. The first is Xbox Live Gold, the main feature of which is that it allows you to play multiplayer games online. 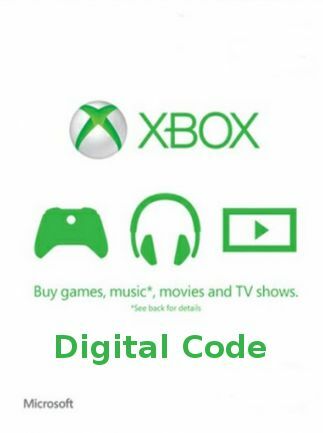 On a regular basis, Xbox Live Gold allows you to grab 2 games for free, which you can play at your leisure as long as your subscription is active. The second service is Xbox Game Pass which can be summed up as “games on demand”. As long as the subscription is running, you can access a massive and still growing library of games ready to be downloaded and played. Meanwhile gift cards, whether bought as physical printouts or purchased online as a digital code, are an easy, safe, and convenient way to top up your own wallet or give to someone else as a present. 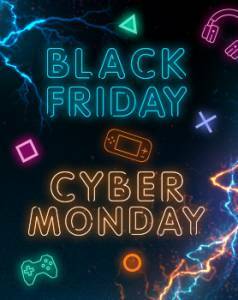 If all this still isn’t enough for you, check the G2A.COM Marketplace over the Black Friday-Cyber Monday weekend and check out our other articles for inspiration.